For many couples, planning a destination wedding can be both exciting and daunting. You’re not only planning your wedding, but your honeymoon and a vacation for your friends and family too. With so many things to remember it can be overwhelming, and it’s difficult to know where to begin. Being organised is the key to every successful destination wedding. No matter whether you’re planning the whole wedding yourself or enlisting the help of a wedding planner or coordinator, if you’re organised, the process can be stress-fee and lots of fun. Our free destination wedding checklist will help you to organise everything you need to do to plan your perfect wedding, from choosing your destination and booking your venue to saying “I do”. All of your tasks have been grouped into small, easily-manageable chunks and organised depending on whether they need to be done now, or one year, nine months, six months, four months, three months, two months, one month, two weeks or one week before your wedding day. Our wedding checklist can be printed for your convenience, and can be easily emailed so that you can share it with your friends and family. This is especially useful if you’re able to delegate some of the tasks to your loved-ones in order to free up some time for yourself. 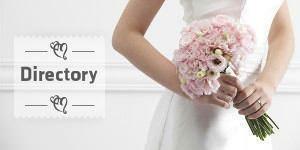 So download your free wedding checklist now and start ticking off the tasks. If you’ve been browsing our website you may find that you’ve completed some of the tasks already.